DESCRIPTION Modern design Hawthorne model by Avi with $30,000 in upgrades. Open concept, 20ft ceiling in main floor great room with 16ft window wall. 12ft ceilings in upstairs bonus room with 8ft windows. This beautiful home is located at the end of a quiet street with unobstructed views of Symons Valley, walking trails across the street, one block to playground/park and Our Lady of Grace school (K-9). Main floor den, gas fireplace and a spacious kitchen with upgraded cabinets, oversized kitchen island, quartz counter tops, walk thru pantry, high power hood fan, and main floor laundry. This home also features hardwood and large tile flooring as well as 9ft ceiling height plus a large custom 13.5ft x 17ft deck, landscaped and fenced yard with gate. Upper floor provides large master bedroom with walk-in closet, 5-pc ensuite including soaker bath, large tiled shower; plus two more large bedrooms. 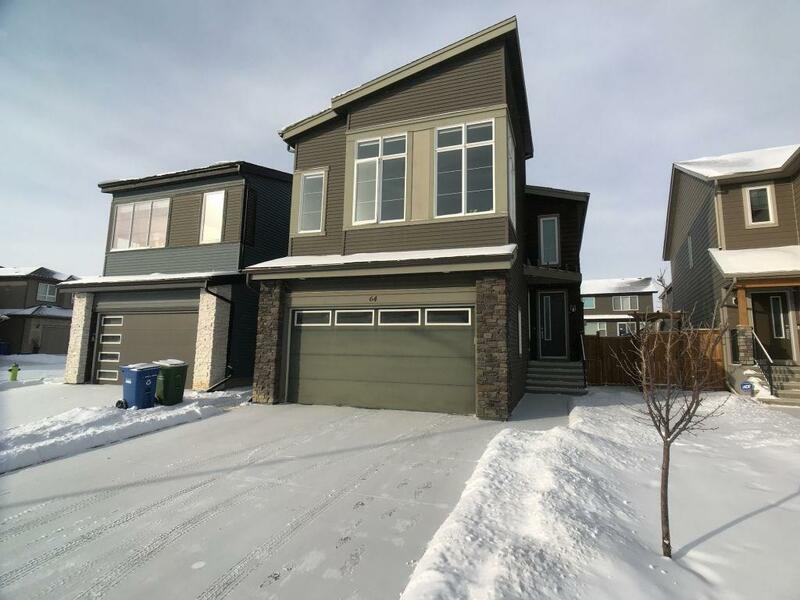 64 Evansborough Gr Nw, Calgary, Alberta, MLS® C4226095 T3P 0M8 is a Detached, 3 bedrooms, 3 bathrooms, approximately 2,131 Sq. Ft. Listing price 549,900.00. This property was built in 2013.